The first-round of the Consolation round has eight wrestlers going head to head as four would be eliminated from each weight class. Wrestlers already having one loss must bounce back to earn a win. 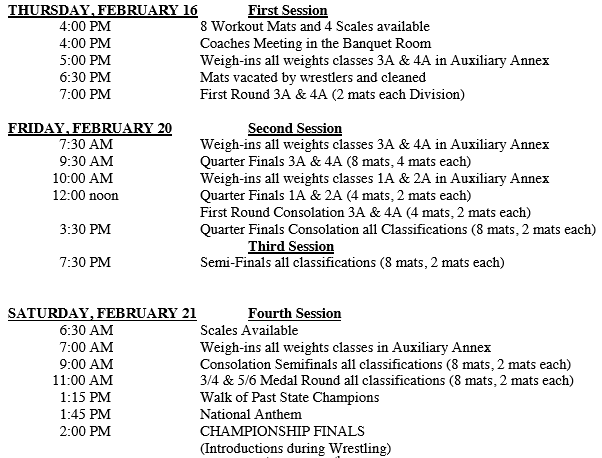 But to place in the States wrestlers must earn not one but two victories consecutively in the consolations. As Liberty had six wrestlers in the first round of the consolations, Eastern View having five on deck, as Fauquier just had three. No room for errors as the Falcons needed wrestlers to win to keep the leaders in sight. As the round ended Eastern View ended up going 0-5, while Liberty won two going 2-4, and the Falcons kept pace by going 2-1. Two key victories for team Fauquier in this round came from seniors Cam Franklin and Jackson McEachin. Franklin had a 3-2 decision over Ethan Carpenter of Monacan and McEachin won by fall over Jackson Pugh of Dominion. The second-round Consolation had both Franklin and McEachin on deck for team Fauquier while Liberty who owned the leader board since the start of the tournament also had two wrestlers. But more important a win in this round would make the podium at the VA State Championships. 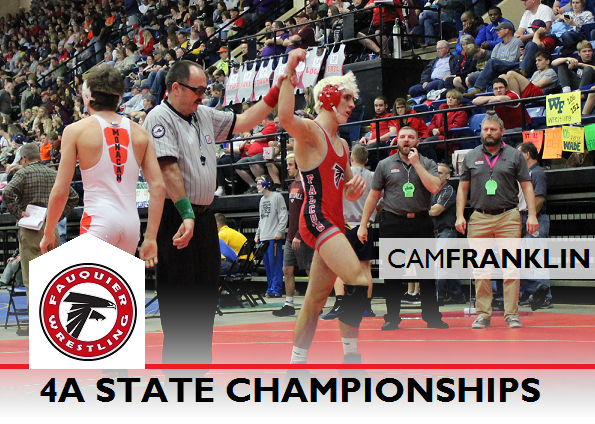 Cam Franklin dominated his second-round consolation match by winning a major decision 11-2 over Garrett Blatt of Smithfield. This major also gave the team Fauquier an extra 1 team point. At the same time this win had the Falcons hopping over Liberty by a half of a point, claiming the leader board. Fauquier rest at 54.5pts as Liberty rest at 54pts. Just 40 minutes later Jackson McEachin then stepped on the mat and took control by earning the first take down while finishing with a 9-1 major decision over Fahad Mohammed of Harrisonburg. Like Franklin, Mceachin also earn an extra team point with this major. The next round will be the Championship Semi-Finals at 7:30PM. Fauquier will have 5 wrestlers on deck competing in this round. For Jackson McEachin and Cam Franklin they will have bouts tomorrow morning 9AM as they will be wrestling in the Consolation Semi-Finals.